Are you considering treatment for back pain? You may want to rethink the idea. According to a latest study published by the journal Lancet, current treatments including opioids, injections and surgery to treat lower back pain, are useless, unnecessary and harmful. The global statistics of people suffering from back pain is startling. Lower back pain affects more than 540 million people globally, and the condition has doubled in the last 25 years. It is estimated that the prevalence of the condition is expected to continue with ageing and increase in obese population. Most people after suffering immensely turn to medical care. But medical care with inappropriately high use of imaging, rest, opioids, spinal injections, and surgery is making the problem worse in both developed and developing countries. "The burden from low back pain has reached a tipping point where the condition is growing rapidly, is poorly understood and is being mismanaged medically - at cost both to the patient and to the healthcare system," said Rachelle Buchbinder, professor at the Monash University in Melbourne. "Low-and middle-income countries are already emulating the low-value care that is endemic in high-income countries. Across the globe (there is) inappropriately high use of imaging, rest, opioids, spinal injections and surgery. Doing more of the same will not reduce low back pain disability nor its long term consequences," Buchbinder said. The researchers emphasised that efforts must be made to stave off modifiable risk factors. 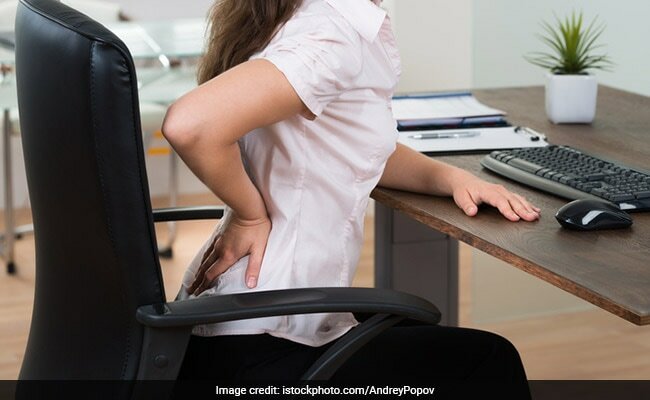 It was revealed that, people with physically demanding jobs, physical and mental comorbidities, smokers, and obese individuals are at greatest risk of reporting low back pain. According to researchers, the real need of the hour is coordinated international leadership to drive transformational change across health and social services and occupational settings to stop fragmented and outdated models of care. Alternatively, it is also advised to get rid of the harmful and useless medical treatments through the adoption of a similar framework to drug regulation. Necessary steps must be taken by public health campaigns to address the widespread population and health professional misconceptions about the causes and prognosis of low back pain and the effectiveness of different treatments. It is said prevention is better than cure. Lower back pain may trigger due to variety of causes. You may be surprised to know that your diet may have a crucial role to play. Lack of essential nutrients, most important of them being calcium and vitamin D, may also result in the excruciating pain. Here are some foods you may want to load up on, to avoid the onset of pain. 1. White willow is considered as a natural alternative to Aspirin because it contains salicin, a pain reliving component, says Macrobiotic nutritionist and Health practitioner Shilpa Arora ND. To maintain healthy and strong bones, adequate calcium intake is of utmost importance. Calcium deficiency in the body can lead to several implications such as fragile and brittle bones which can ultimately result in bone fractures and other bone related diseases. Milk, cheese are great source of calcium. Fish is a great source of Omega 3 fatty acids which helps in reducing inflammation. Consuming foods like walnuts, salmon, chia seeds and even flaxseeds can prove to be quite beneficial for bone health. This antioxidant rich nutrient provides numerous benefits to the body. Foods that are rich in Vitamin C aids in the formation of collagen which constitutes the fibrous parts of the bones and the cartilage. One must include Vitamin C rich foods like oranges, strawberries, broccoli and bell peppers in their daily diet regimes. Foods like bananas, legumes, pumpkin seeds and green leafy vegetables are an excellent source of magnesium. Magnesium plays a crucial role in the structural development of the bones. Deficiency of magnesium in the body may lead to frequent lower back pains. Winter greens like spinach leaves, fenugreek and even mustard leaves are a great source of Magnesium as well.